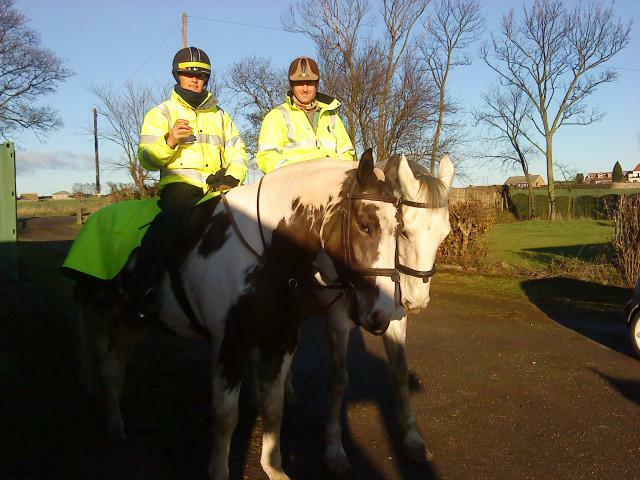 Everyone likes a special treat from time to time, and our equine friends are no exception. 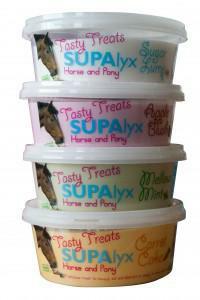 These brand new Tasty Treats from the SUPAlyx Horse & Pony Range will brighten up any horse’s day and are perfect for keeping in the feed room or horsebox to reward our equine pals when they deserve it most. Tasty Treats have numerous benefits. 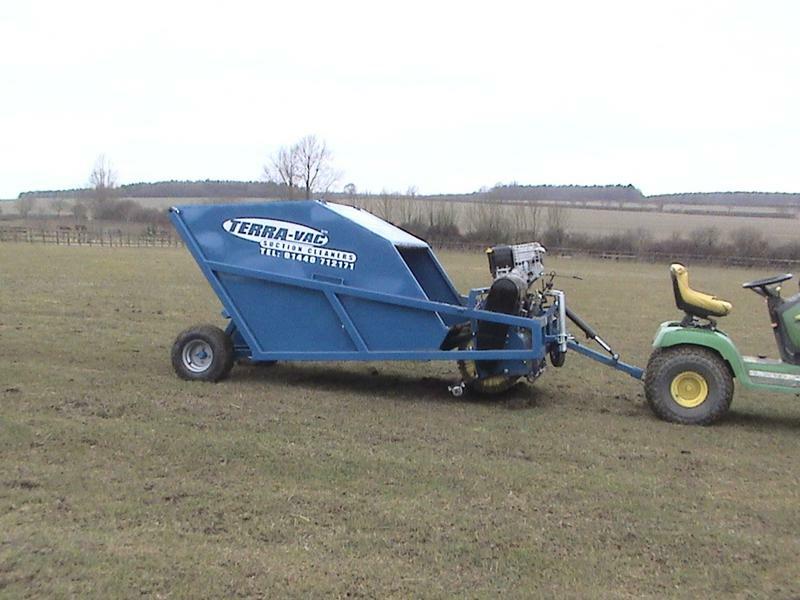 They can be used to reward good behaviour, help with training, distract a horse when there’s a temptation to fidget, such as a farriery visit, or simply for owners to show their horses how much they care. 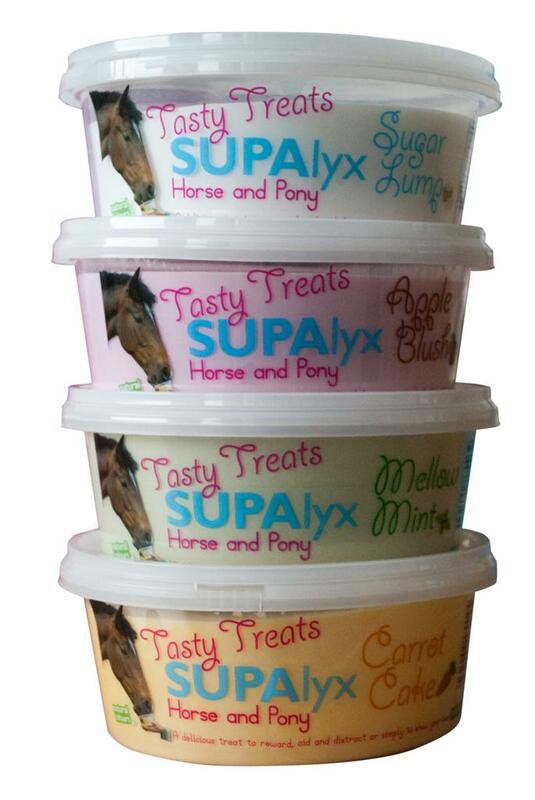 Available in four delicious flavours to suit every horse’s taste, you can choose from Sugar Lump, Mellow Mint, Carrot Cake and Apple Blush. 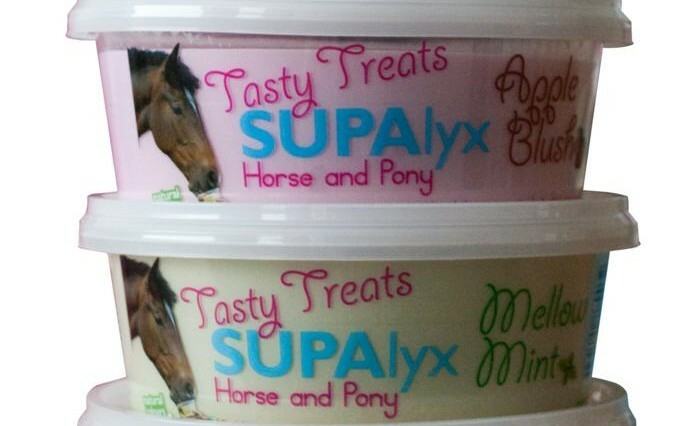 Tasty Treats come in 650g licks and are designed to be held by the owner while the horse licks away. The lid on the pot is replaceable sealing the treat until the next time it is used. That way, owners can monitor their horse’s intake, because we all know that treats are best consumed in moderation.